"Thank You for joining us for our special day! fall in love with the city that we fell in love in"
Every aspect of this wedding well thought out and cohesive with the wedding itself. The wedding was held at ZED451 in Downtown Chicago and has a very earthy yet modern feel. The boxes were white with band of woodgrain paper and a pretty sating ribbon bow. It fit perfectly within the couples Modern meets Organic wedding! 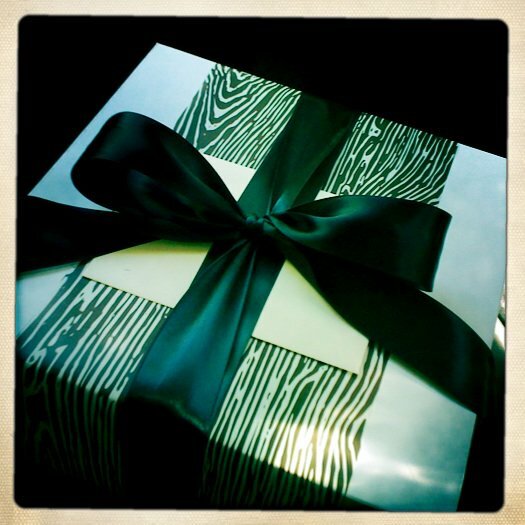 Please remember you do not have to break the bank with your welcome boxes or bags!! Visit your local dollar store for boxes, bags, treats & more! You also do not have to add tons of goodies, just a welcome card, map & couple of bottles of water is just fine! 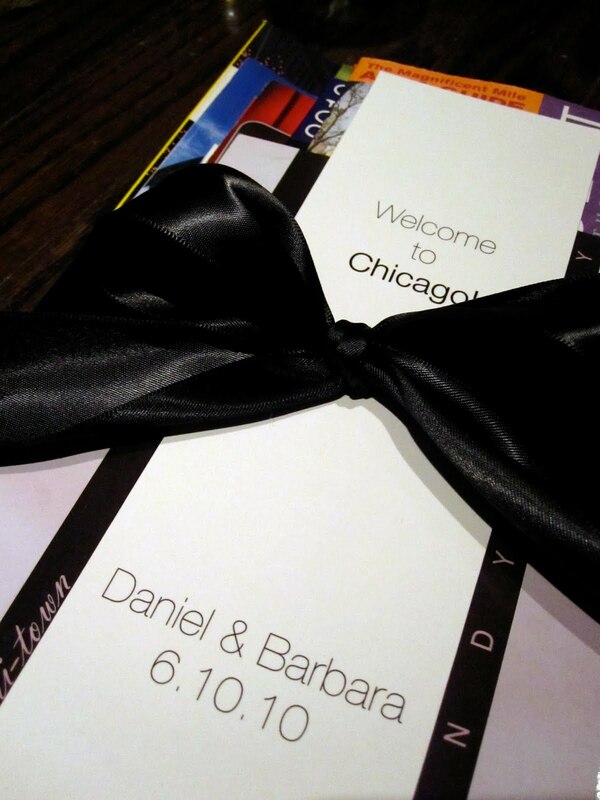 Think about what you would like to receive and take the type of wedding into consideration as-well. If you are having a beach wedding add a pair of flip flops for the lady, sunscreen & water. Here are a few images from the June wedding!! 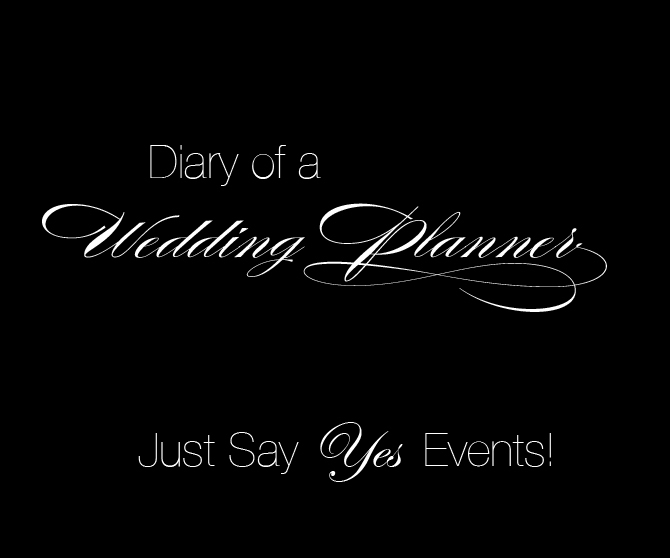 All photos P/O Just Say Yes Events!